After Matt Francis’ “50 Shades of Data” at #Data15 I really got to thinking about color, it’s usage and the planning of pallets. 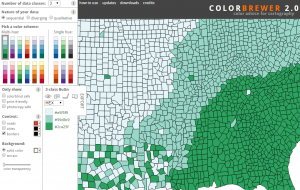 So I thought that I would share some of the tools that I use for testing, planning and plotting color for use in Tableau. 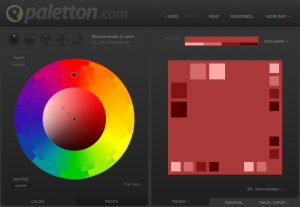 One of my absolute favorite tools for selecting color pallets is Paletton. 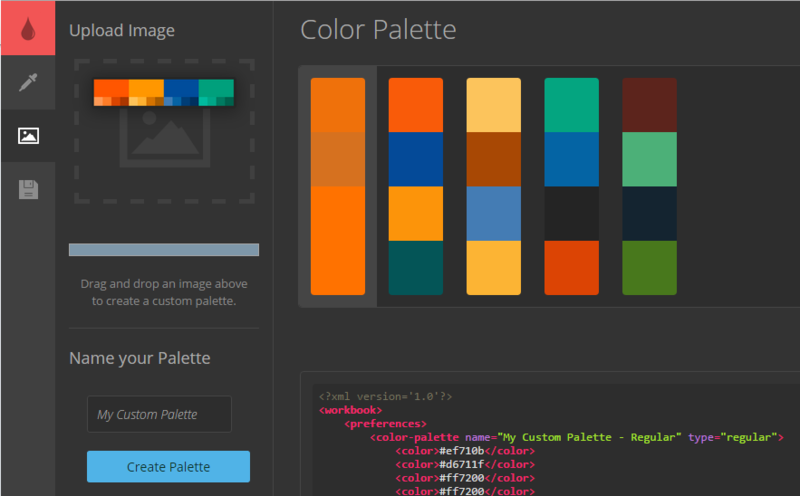 Paletton allows the user to start with a known base HEX value, or pick using the color wheel. With a click of an icon, you can switch from Monochromatic to Adjacent Colors, to a Triad, to a Tetrad. You also have the option to “Freestyle”.Once you have your base pallet, you can use their presets to run from light pastels to deep colors, as well as grey-tint pallets. You can then apply your pallet to a mocked up website, artwork, or animated images to see how they look “live”. You also have the option to run visual simulations for 13 vision deficiencies (color blindness). Finally, you can export your color pallet and insert it into a custom color pallet within Tableau with very little effort. Now once you have your colors selected, there is a super easy way to build you custom XML file. If you save the images or take a screenshot, you can use it in Interwork’s Color Tool (one of their awesome Power Tools). Registration is free, and the tool is very easy to use. Below you can see I took a screen grab from Paletton and uploaded it to the Color Tool, and it instantly generates an XML file. The tool does take some liberties in adding additional pallets, but they are easily edited or removed. I hope you find their resources useful in your color planning. Do you use other tools? Please share in the comments!